In an effort to tackle tax avoidance and secure sustainable revenues, the European Commission outlined an Action Plan1 to reform corporate taxation in the European Union (EU) in June 2015. In addition to common corporate tax reform in the union and ensuring effective taxation, the Commission also established a pan-EU list of third countries and territories blacklisted by EU Member States. In the first published list on 17 June 2015, Hong Kong was among the 30 jurisdictions on the list, which was based on the member states’ national blacklists. If ten or more member states have listed a country in their national lists, the Commission will include that country into the pan-EU blacklist. Hong Kong was on the list because it was in the national blacklist of 10 EU member states, namely Bulgaria, Croatia, Estonia, Greece, Italy, Latvia, Lithuania, Poland, Portugal and Spain. Following the Commission’s decision, the Hong Kong government said they were puzzled and very disappointed by the unilateral action of the European Commission to list Hong Kong as a ‘non-cooperative tax jurisdiction’ over which they strongly disagreed.2 The Hong Kong government further explained that Hong Kong had signed 32 Comprehensive Avoidance of Double Taxation Agreements (CDTAs) and 7 Tax Information Exchange Agreements (CDTAs).3 13 CDTAs and 2 TIEAs were signed with EU countries and negotiations are still ongoing with 5 other EU member states. Additionally Hong Kong is one of the members of the Global Forum on Transparency and Exchange of Information for Tax Purposes (the so-called Global Forum).4 The 2 Phases of reviews recognized Hong Kong’s commitment to meeting the international standard on tax transparency as “largely compliant”. Hong Kong also supported the Organization for Economic Co-operation and Development (OECD) to implement the new standard on Automatic Exchange of Financial Account Information in Tax Matters (AEOI).5 In light of the above facts, the Hong Kong government regarded the European Commission’s decision as totally unfounded and refuted any allegation of Hong Kong as a tax haven. The Commission’s action to blacklist 30 countries has surprised many parties, including the OECD which is the world leading institution in implementing and coordinating on international tax practices. Subsequent to the Commission’s announcement of its Comprehensive Action Plan for Fair and Efficient Corporation Taxation in the EU, the OECD issued a letter to Global Forum members6 expressing its opinion. The OECD pointed out that the European Commission has incorporated the Global Forum’s terms of reference into its principles of good governance in tax matters. It appears illogical that the Commission included the compliant countries of the Global Forum in their blacklist. It is not clear how the EU Member States determine their national blacklists but the compilation of a pan-EU list is in conflict with the Global Forum standards. The OECD confirmed, at the end of the letter, that the only agreeable assessment of countries as regards their cooperation is made by the Global Forum. A number of countries identified in the EU blacklist are actually fully or largely compliant. Hong Kong was not the only country which was perplexed by the EU’s decision. There were also a number of other jurisdictions, such as Bermuda, Guernsey and Liechtenstein, which strongly disagreed with the blacklist.7 The EU member states were showing high level of inconsistency in their selection. While Greece and Italy listed a large number of uncooperative offshore centers, the UK, Germany and Sweden did not list any countries. There was apparently a lack of objectivity among the member states to decide which countries are “tax havens”. In Oct 2015, the European Commission updated the list and removed Hong Kong from their blacklist. According to the Hong Kong government, there was one technical error in the listing because Spain has cleared Hong Kong from its national list since April 2013.8 Therefore, in the new update, Spain was no longer blacklisting Hong Kong. Moreover, Estonia, which previously featured Hong Kong on their list in June 2015, no longer presented a national black list. 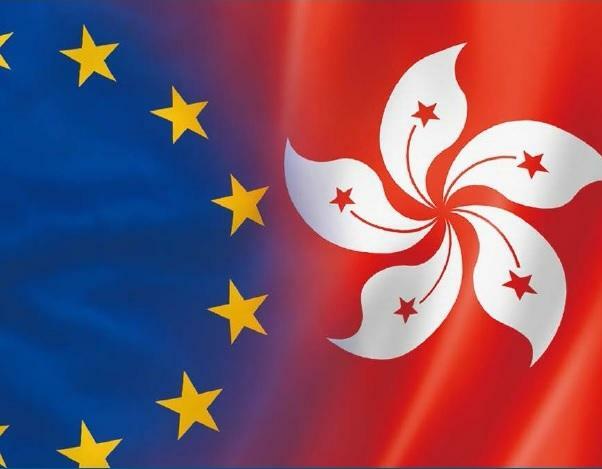 As a result, Hong Kong has been successfully removed from the pan-EU blacklist of tax un-cooperative jurisdictions as there are only 8 EU member states blacklisting Hong Kong. 3) Developed by the OECD Global Forum Working Group on Effective Exchange of Information, the purpose of the agreement is to promote international co-operation in tax matters through exchange of information. 4) With currently 132 members worldwide, the Global Forum was created by the OECD in 2000 to ensure the implementation of the internationally agreed standards of transparency and exchange of information in the tax area. 5) AEOI provides for the exchange of non-resident financial account information with the tax authorities in the account holders’ country of residence. Participating jurisdictions of AEOI send and receive annually pre-agreed information, without a need to send a specific request. This aims to tackle tax evasion. IS THE RULE OF LAW IN POLAND THREATENED?